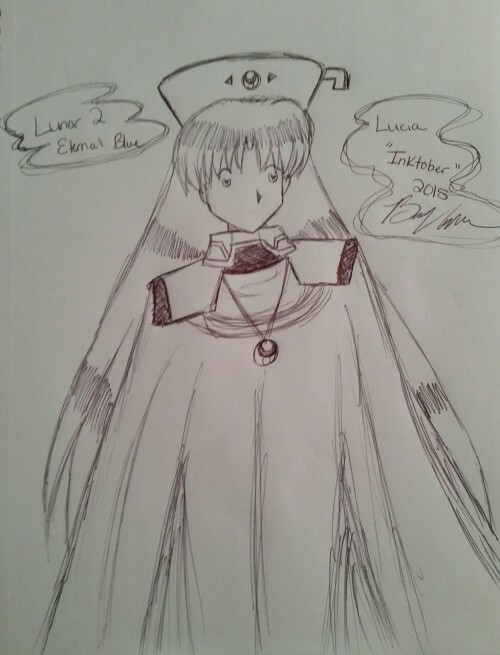 While asking in one of my other posts what Lunar fan art the community would like to see, I thought it would be a great idea if we had one thread with a running list of concepts. Originally, I only had visual art in mind, but I think this would be great for writers and other artists as well. Simply reply below with your concept and then as artists have time they can run with those ideas. Definitely feel free to work on a concept regardless if someone else has already completed something for it; it'll be great to see your vision as well! Also, I think this may be a nice way for collaborations to come about too. 2) Sonic#: Fresca, Mia, and Jessica going after Alex, Nash, Kyle, and Tempest. 3) ilovemyguitar: I'd love to see a portrait of the Lunar cast decked out in their most powerful gear based on the menu icons for their endgame equipment found in SSSC and EBC. There's so many portraits of them wearing the same clothes that I think it would be really cool to see them looking a bit more dressed up. 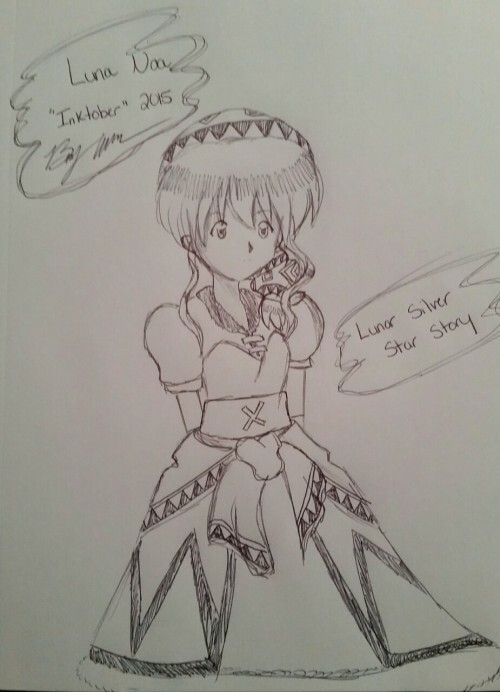 Re: Post your Lunar Fan Art Requests here! Draw Plantella being put through a salad shooter. 2) Hiro & Co. at the snow village fighting the snow boss thing...It always made me laugh that they wore their usual clothing in a blizzard. 3) Riding on one of the sand ships. Anything pertaining to Tempest and Fresca. I always wanted more from those characters. A photoshop where you take out the statue of liberty and replace it with an Althena statue. Some Lunar and X-Men crossover art. You could have Mia combining her magic with Storm's weather control to attack a sentinel. I like the idea of taking the Lunar characters out of their universe a bit more than putting other characters into theirs. Leo wrote: A photoshop where you take out the statue of liberty and replace it with an Althena statue. I know this is too little too late but this doesn't seem like a bad thread to post too late on! 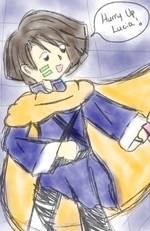 I'd like to see some art of Hiro and Lucia in a scene which appears they may be returning back from the Blue Star at either the Blue Spire or the Star Dragon Tower (: (: (: ..
Ηiro wrote: I know this is too little too late but this doesn't seem like a bad thread to post too late on! 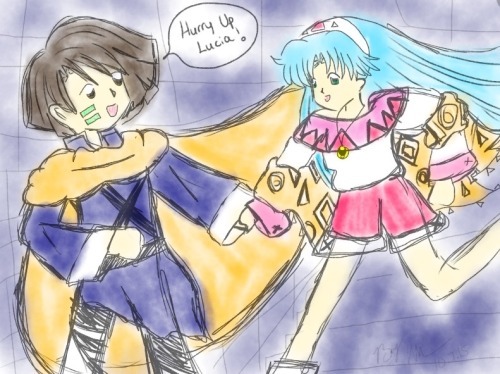 I'd like to see some art of Hiro and Lucia in a scene which appears they may be returning back from the Blue Star at either the Blue Spire or the Star Dragon Tower (: (: (: .. Define not the greatest - I love it!!! So its been a really long time, but I still want to say these drawings are cute as can be.